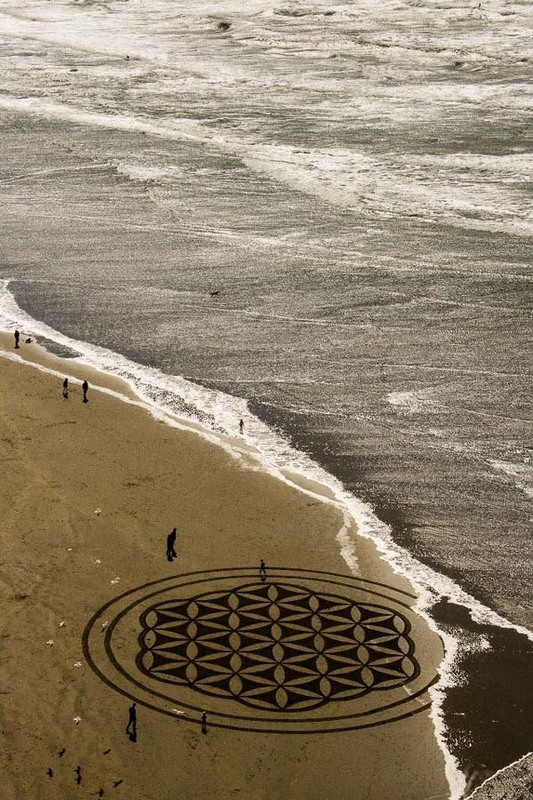 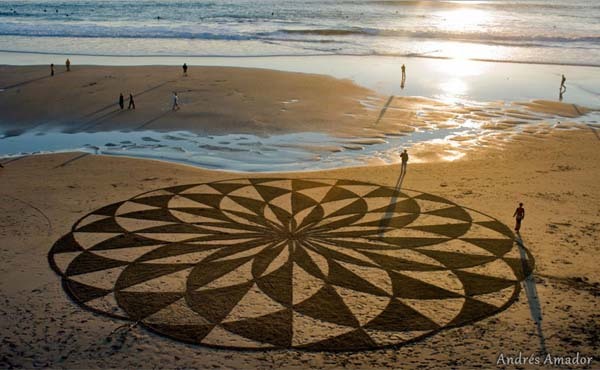 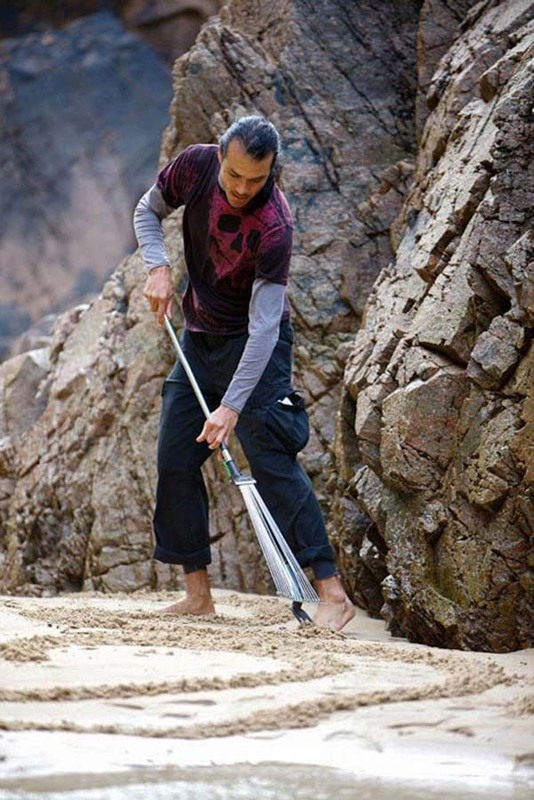 A Man Takes A Single Rake To The Beach, When You See What He Does It Will Blow Your Mind! 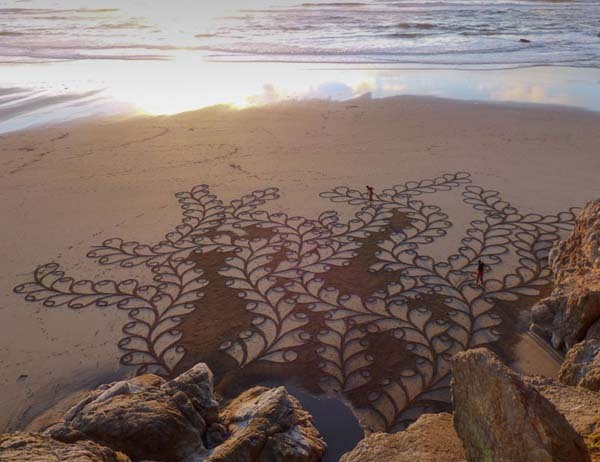 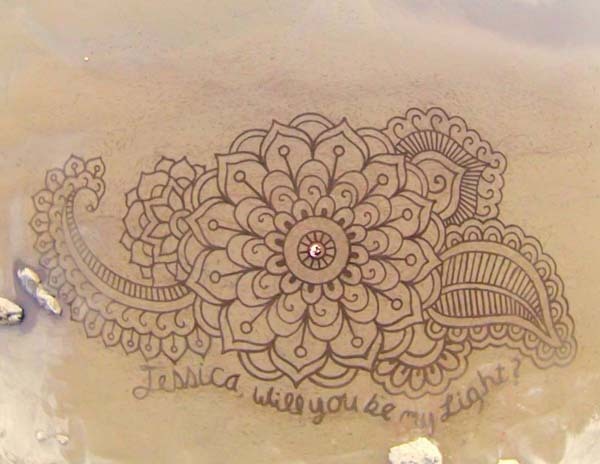 It’s called Beach Art. 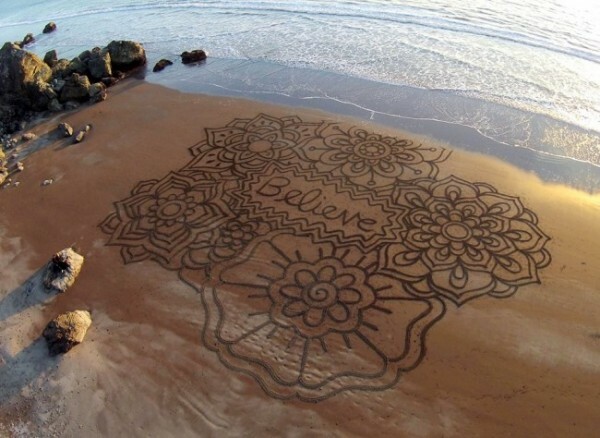 And I guarantee you, you have never seen talent like this before! 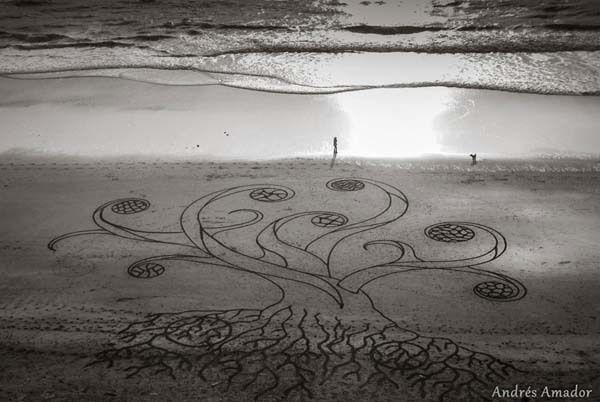 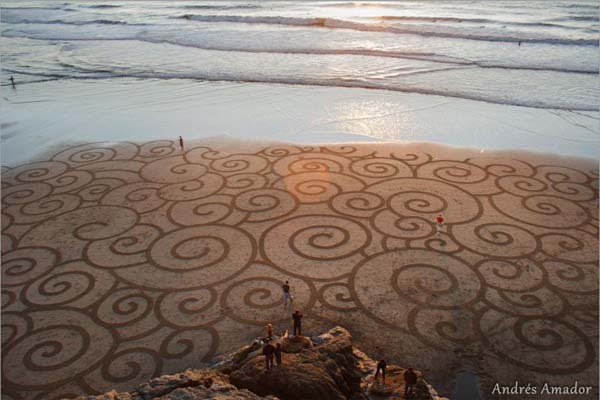 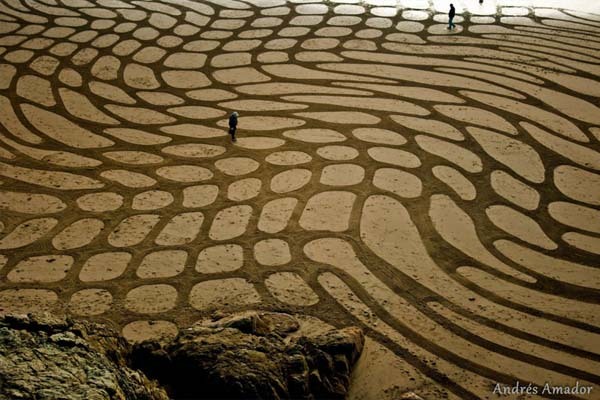 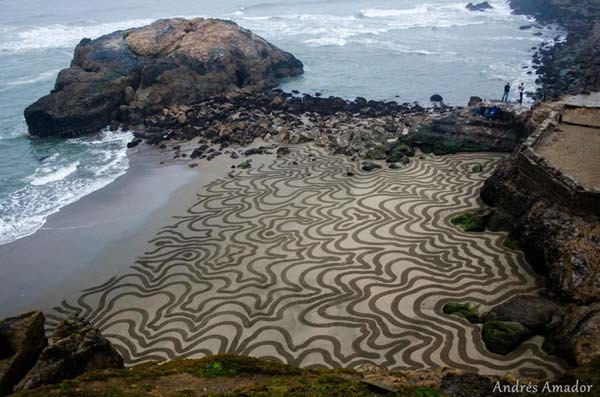 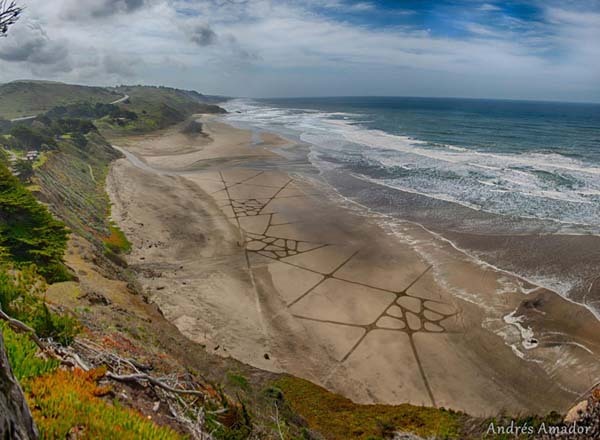 If you live in San Francisco, California maybe you have been lucky enough to see the artwork of Andreas Amador. 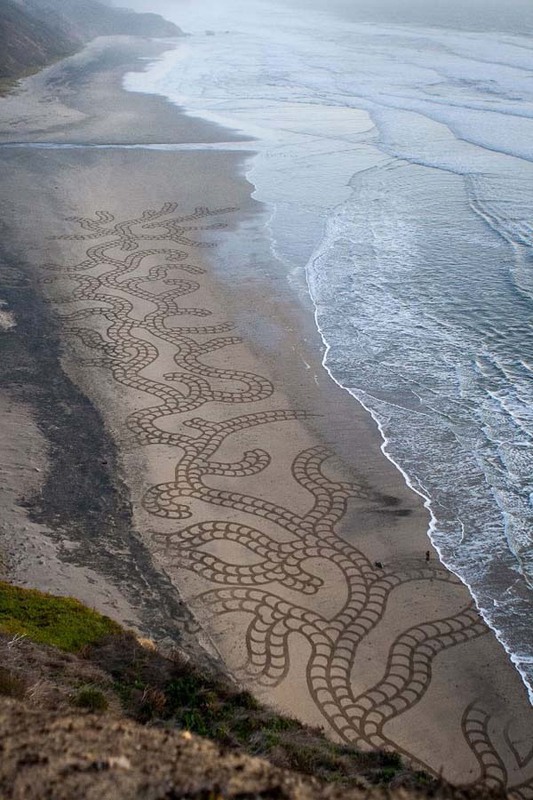 He does not paint or sculpt, but he does something so original and it is absolutely breathtaking! 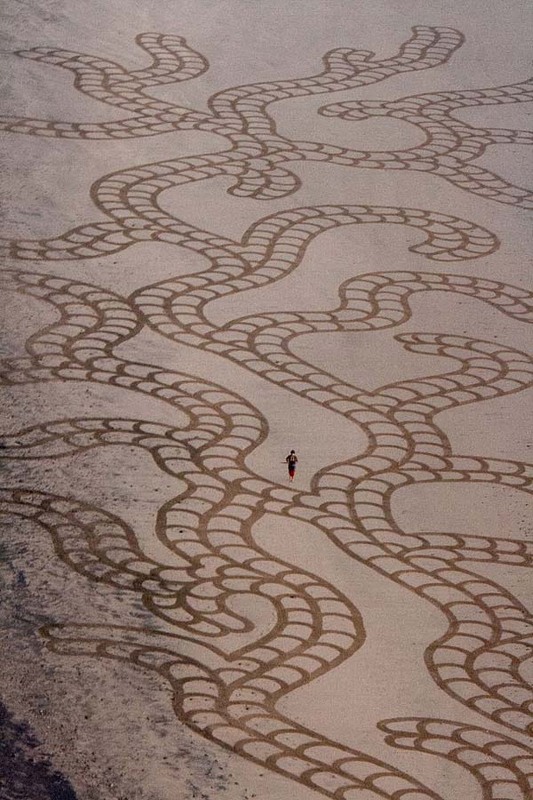 He uses a break to create works of art that can be bigger than 100,000 ft.². 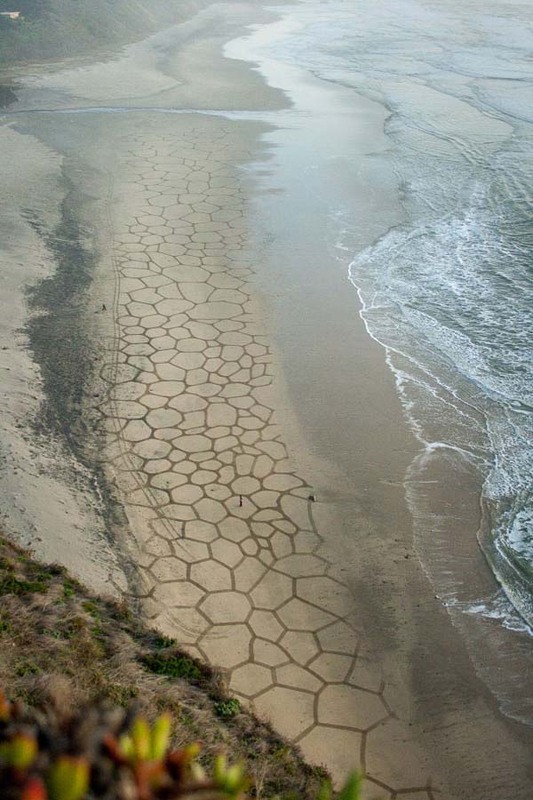 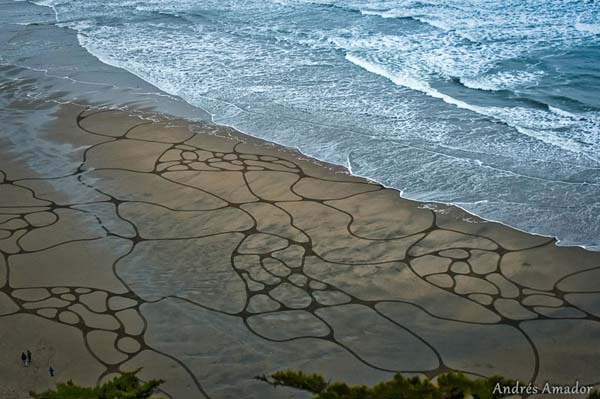 He spends hours creating these intricate masterpieces, knowing that the tide will soon come in and wash all his work away forever. 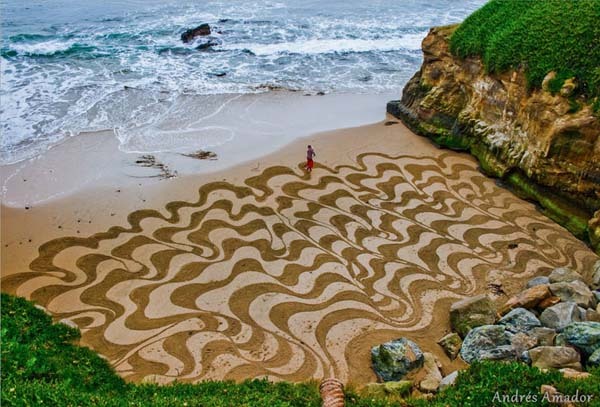 Check out his unique talent in the photos below and SHARE these amazing images with your friends!